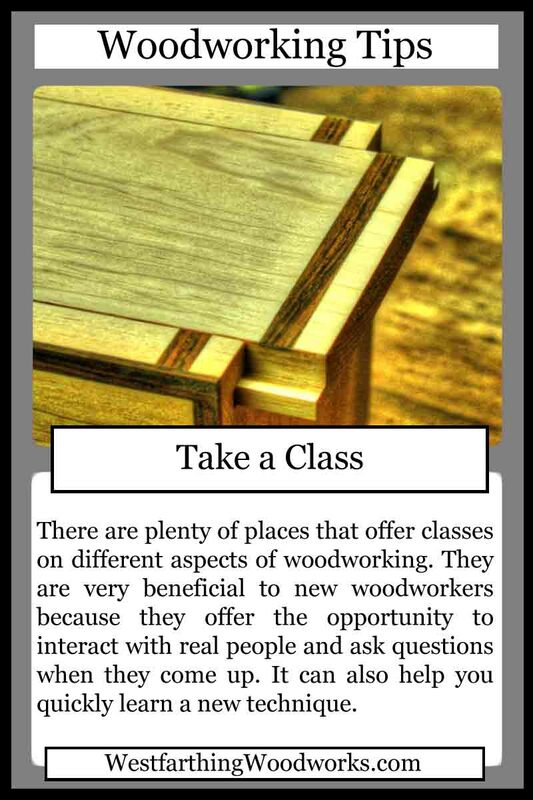 This woodworking tips card is about how to take a class and improve your woodworking skills very rapidly. Woodworking classes are available nearly everywhere, and you can learn quite a bit in a short amount of time. They are not cheap, but they offer you something that a book can never really give you…the chance to ask someone questions. You can find classes in local woodworking stores, hardwood stores, and colleges. You can also find them online. Taking a class is a great thing, because you get to interact with real people, and learn something that makes you happy. How many times in your life have you been forced to learn something in a class environment that you really don’t want to learn? This is your opportunity to go into a class because you really want to understand what the class is designed to teach. This changes your entire outlook on learning, because you are driving towards something you really want. One of the benefits of learning in a class is that you are going to be working around real people. People offer you the wonderful ability to ask questions. This is extremely valuable, because sometimes it’s really nice just to have the answer and not have to try and find it in a book or online. This is not the only benefit, but it’s an important part of a class. There is something special about being able to talk to another woodworker. 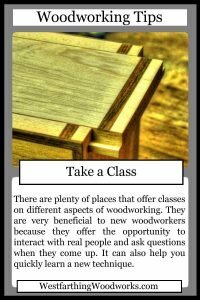 When you have a genuine interaction with someone that enjoys woodworking as much as you do, it can be like finding a new best friend. You also benefit each other from face to face interation. I love books, but I also love learning from people. Most woodworkers love talking about what they do, and they love showing you everything they can about what they make. They also enjoy answering questions. Answering questions is fun, because it’s your chance to pay it forward. Most woodworking knowledge is hard fought and the product of mistakes and perserveerence. When you can answer a question for someone that will prevent them from going through a lot of failure to get the answer, you are doing them a hue favor. Most woodworkers will do the same thing for you. Local woodworking stores like Woodcraft offer classes that you can take. They do depend on the teachers available in some cases, but you can pick from several. Also, if the instructor for the class works in the store, you can speak directly to them and see what the class is about. There are far more colleges and trade schools teaching woodworking now than ever. For a long time, working by hand was not seen as being important when compared to getting a traditional college degree. Now, with the resurgence of the modern woodworker and individual makers, being skilled with your hands is growing in popularity. Look for a community college or university and see what they offer for classes. You can pick from several in many cases, and they may even have options for post education job placement. 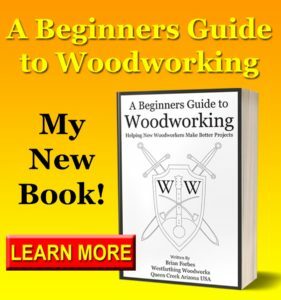 This can be a huge help if you are looking to get into the woodworking field as a professional.